The Translational Immuno-Oncology Department is committed to elucidating the mechanisms of our therapeutics as they transition into human clinical studies and equipping them with biomarkers to aid in their progression through the pipeline. We are seeking a highly motivated and collaborative individual with a passion for oncology research, who enjoys working in a fast-paced and dynamic working environment. The successful candidate will work both within the Translational Immuno-Oncology Department and as a member of cross-departmental interdisciplinary teams. They will be expected to design, lead and execute screens for biomarker discovery and validation, analyze and present results and to champion emerging technologies. AbbVie has expanded its oncology hub on the West Coast, with three sites in the San Francisco Bay Area (Redwood City, South San Francisco, and Sunnyvale) focused on the discovery and development of novel oncology therapies. More than 1,000 AbbVie scientists, clinicians, and product developers with strong entrepreneurial roots work across these three sites. They combine their expertise in immuno-oncology, stem cells, and cell-signaling with their knowledge of bispecific antibodies, antibody-drug conjugates (ADCs), and covalent-inhibitor technologies to discover and develop novel cancer treatments. 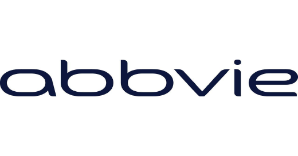 This position is based at AbbVie in the Redwood City, CA location. Demonstrated ability to learn, understand and master new experimental techniques.